I put my property for sale few months back, but i have not received many queries. Last week, one of the sellers asked me over the phone. He further added what should he do now?. He also gave me feedback that i don’t frequently write for sellers. Candidly i told him that as the entire risk of a property transaction rests with the buyer. Therefore, i have a soft corner for the buyers :). I promised him series of posts on the property for sale. This post is first in the series. I hope he is reading :). Similar to property buying even when seller put his property for sale it requires proper planning and execution. Prima facie any seller will ask what type of planning is required?. Trust me selling of property is as tough as buying. The property is an illiquid asset and may take up to one year to sell depending on market conditions. The current market is buyer’s market due to the meltdown of real estate sector, therefore, please go through this post before you put property for sale. In India, there is a typical pattern to sell the property. Every seller has trusted broker/agent who frontend the property transaction. The traditional owners/investors are not vocal about the property for sale fact. Though the times are changing. There was a time if someone used to sell his assets like gold or property, society used to think that he is in financial distress. Maybe this thought process resists seller to announce openly about property for sale. Moreover, in past the owners used to sell either to or through trusted aides. In this digital age, an owner is overloaded with information provided he does proper research before putting property for sale. The information overload has both advantages and disadvantages. To sell a property, seller make mistakes that can potentially devalue the property. In some cases, it harms the prospect of property transaction. In this post, i will list down five such mistakes that can cost heavily to the seller. 1. List the property without homework: As i mentioned earlier that listing the property for sale without proper homework is suicidal. Each of the following factors is interlinked to each other. Let me share an example from my society. One of the owners is trying to sell the property for last two years, but now the property is tagged as unsellable. He consulted me, and i found that the owner listed “property for sale” without proper homework. This homework is 360 degree i.e. gauge the demand, price, time to the close deal, how to market, etc. Demand and Price are directly proportional to each other. In short, if demand is high you can command premium and vice versa. The initial price quoted by him was 25% higher than the market rate. It gives impression among buyers that seller is not a serious seller. Some seller just keeps listing the property to check the property value. It is not right approach as they might find tough to sell in future. If you just want to verify the price then rather going overboard just discuss with your trusted agents/brokers or check online portals. Also, if you are serious seller then always quote RIGHT PRICE even if you are incurring a loss in the transaction. Secondly, an owner carries a risk of the property being tagged as unsellable. Typically, i have observed that once you decide to sell than at any cost, the deal should be closed within 2-3 months time. If you take more time than you carry a risk of the Unsellable tag. In this bargain potential buyers start devaluing the property. 2. Desperation to Sell the Property: Trust me good negotiators can quickly find out whether seller is desperate to sell or not. After listing a property for sale, a seller should not show any signs of desperation. Some of the signs are frequent calling to agents/brokers/potential buyers. You should take it easy. If you have done your homework well, then you will not find difficult to sell. 3. Vacant or Rented: This is the biggest dilemma for a seller i.e. put property for sale after vacating the same or occupied (rented/self). Both approaches have its advantages/disadvantages. A vacant property looks spacious and gives the impression that seller is very much keen to sell. At the same time, a vacant property is a financial loss till it is sold. Moreover, a potential buyer will ask why it is vacant and from how long. On the other hand, if the property is rented then the tenant may resist the sale of same. Tenant may keep the property in poor condition or make the excuse of non-availability. He may not cooperate with seller/potential buyer. The advantage is that regular rental income is generated. Therefore, delay in the sale does not pinch the seller. In my opinion, the best option is to keep it rented/occupied, and you can always take a tenant on your side. You may give some financial waiver to him so that he can support the sale of the property. Selling the property without the support of tenant is tough. 4. Real Estate Mafia: Mafia is something that exists, but no one acknowledges the same. Even in gated community/association, there is a direct/indirect mafia of office bearer/s of Association. Once they know about property for sale, this mafia becomes active. There is one intermediary on behalf of office bearers who negotiate on behalf of the association. Based on the experience of my readers and personal experience, you need to pay 1% or fixed amount as a bribe to this Mafia. I highlighted the cancer of corruption in Resident Welfare Association in my post on the same topic. You are more vulnerable if you don’t stay in the same city. Most of the sellers keep the keys of flat in association office. To avoid this mafia, you should not inform about your plans in the society. In short, no one should know about property for sale. 5. Market your Property: At the end of the day if you are selling your property then you should be a good marketer. Only a tag of property for sale will not help to close the deal. I have observed in the case of few clients that they were not able to market their property. The best marketing strategy is to convince the female member accompanying the buyer. You should make a list of benefits/advantages of owning your property. Trust me once you convince the wife/mother of a buyer then you need not negotiate. In some cases, i helped my clients to fetch premium only because of a killer sales pitch. Assuming if you go to a superstore, and there is NO sales pitch, the probability of purchase is LOW. A good salesman with passion can convert the “No Deal” to “Deal”. I can keep more sharing more points, but i think i have covered all the crucial points. A seller can avoid above mentioned mistakes. All these are part of basic homework before you put a board of Property for Sale. Trust me a well-prepared seller can close the deal fast, and property selling is easy for him. You cannot rely 100% on the third party, and efforts are required from your end also. 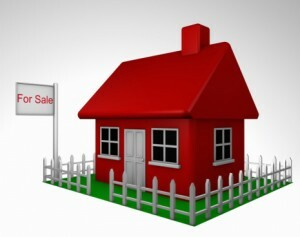 A seller can also check my post 5 Risks of a Seller in Property Transaction.